Courtesy of Muriel Siebert & Co.
Muriel "Mickie" Siebert is known as the First Woman of Finance. 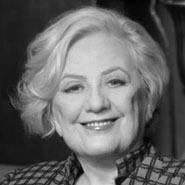 In 1967, she founded the financial analysis firm Muriel Siebert & Co., Inc., the nation's first discount brokerage, and that same year became the first woman, among 1365 men, to own a seat on the New York Stock Exchange. In 1977, Siebert became the superintendent of banks for the State of New York. Not one bank failed during her tenure. She also created the Siebert Philanthropic Program, which invests profits from her company in community charities.